Larry Porter plays traditional Afghan music on the rebab, an instrument particularly characteristic of this music culture. 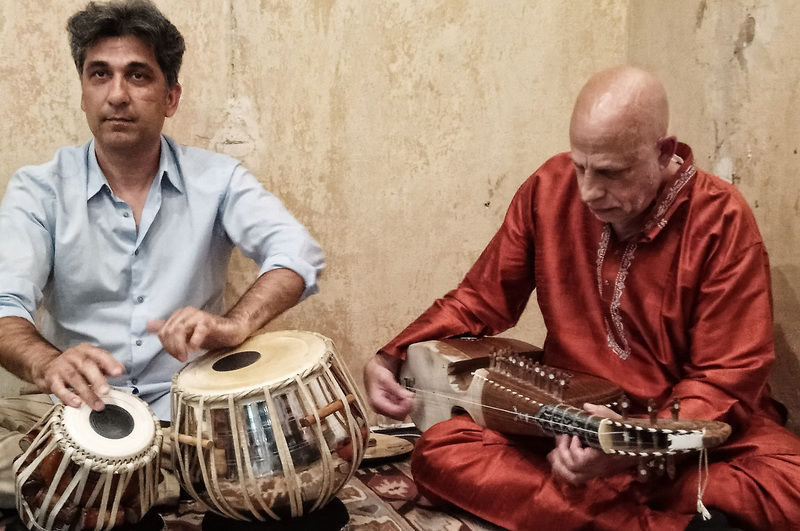 He first encountered the rebab, a short-necked lute with 18 strings, on his journey through Asia in 1976, at which time he had the extraordinary opportunity to study with the renowned master, Ustad Mohammad Omar, in Kabul. 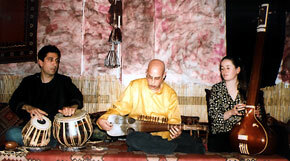 Since then he has developed a unique style in which he combines folk music with elements of Indian classical improvisation. Larry’s repertoire consists of traditional Afghan folk songs and Hindi film tunes as well as Pakistani ghazals, classical pieces, and original compositions. 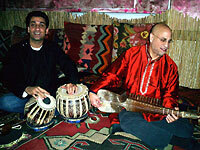 He is accompanied by the outstanding tabla player, Solayman Alizo. Solayman grew up in Kabul and has lived in Germany since 1980. After his initial studies with tabla master Sankha Chatterjee, he established himself as one of the most sought after tabla players on the scene. 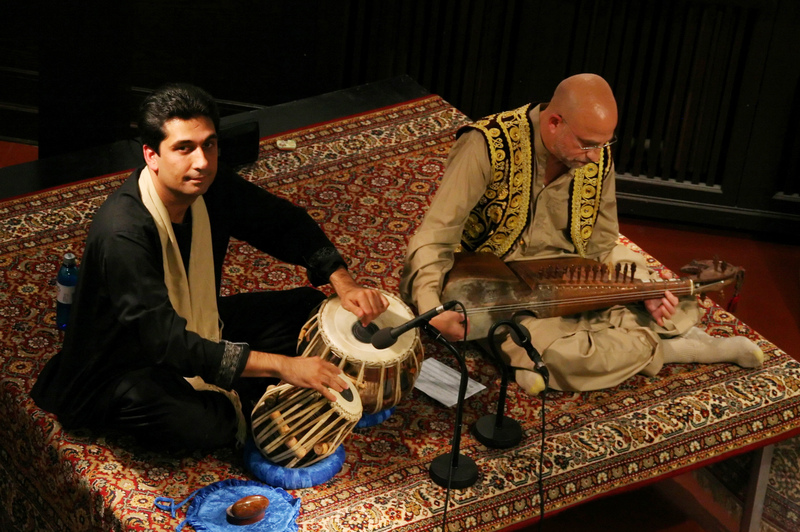 He has played and recorded with many great names of Afghan music such as Ahmad Wali, Harun Lamha and Ustad Mawash. Larrys Repertoire reicht von traditionellen afghanischen Volksliedern über Hindi-Filmmusik bis hin zu pakistanischen Ghazals, klassischen Stücken und eigenen Kompositionen. Begleitet wird er von dem herausragenden Tabla-Spieler Solayman Alizo. Solayman ist in Kabul aufgewachsen und lebt seit 1980 in Deutschland. Nach seinem Studium bei dem Tablameister Sankha Chatterjee hat er sich als einer der gefragtesten Tabla-Spieler in der Szene etabliert. Er hat mit grossen Namen der afghanischen Musik wie Ahmad Wali, Harun Lamha oder Ustad Mawash gespielt und aufgenommen.